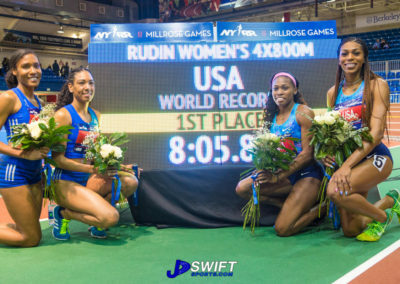 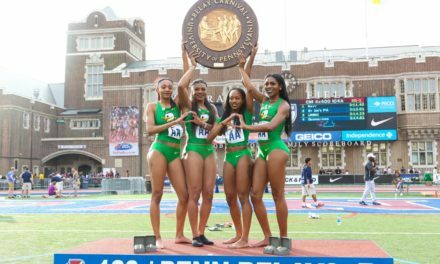 February 3, 2018, New York, NY — The USA women’s 4×800 team(Ajee Wilson, Crishuna Williams, Raevyn Rogers and Charlene Lipseyteam) ran 8:05.89 to set a new world record at this year’s Millrose Games. 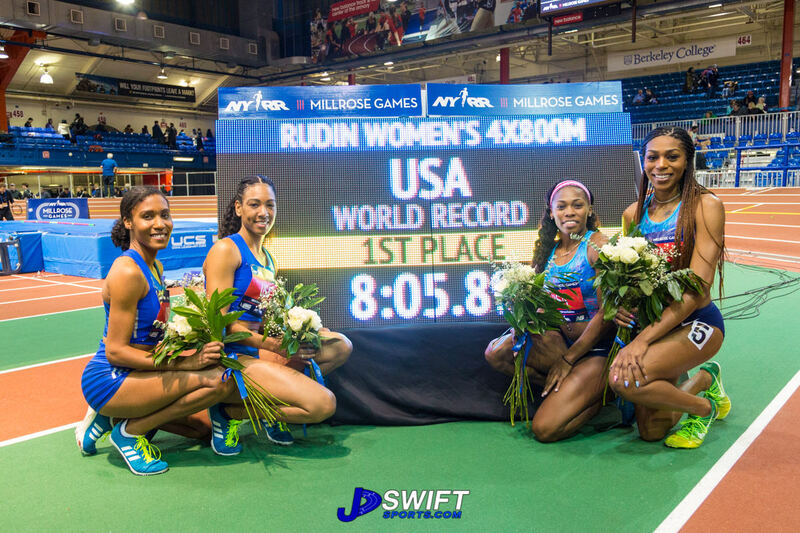 This record replaces the 8:06.50 record set by the Russian team in 2011. 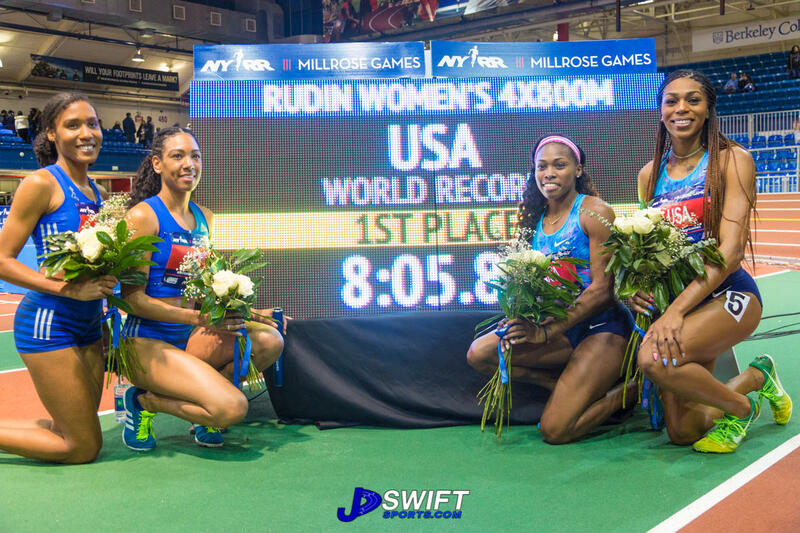 From start to finish the USA team dominated the race. 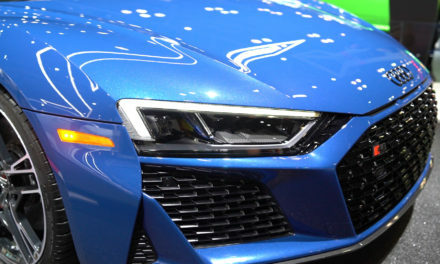 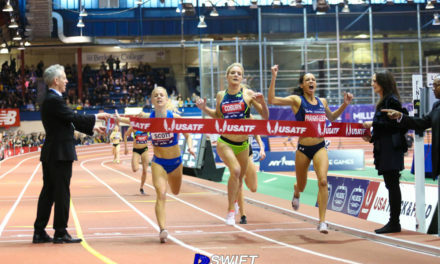 After the second leg, there was no question who was going to win the race. 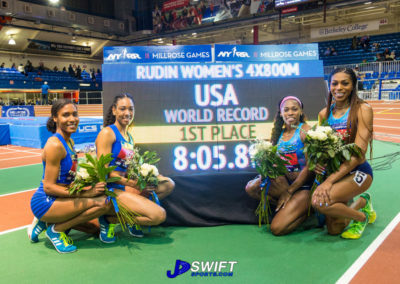 The only question on everyone’s mind was are they going to break the record. As Ajee Wilson got the baton on the anchor leg an pulled away from the competition everyone was on the edge of their seats. 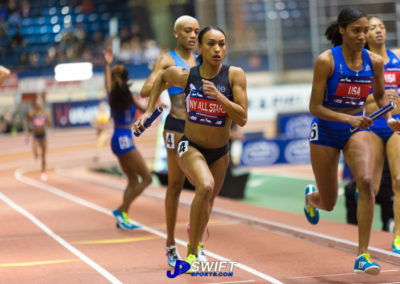 As Wilson came down the backstretch of the final lap you knew she was on pace to break the record or damn near come close. 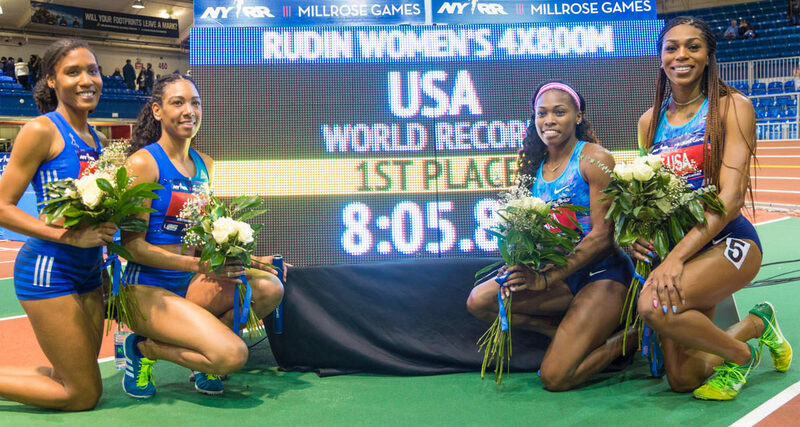 At this point, the crowd was on their feet cheering Wilson on. 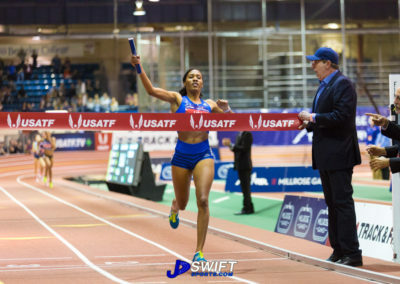 Comming off the turn with the finish line in sight there was a brief moment where the only sound you heard was the announcer’s voice counting out the seconds until Wilson hit the tape, then the crowd went wild. 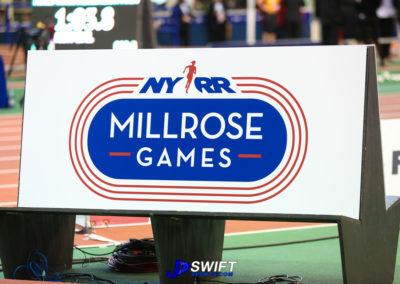 The cheering was so deafening I bet it was heard several blocks away from the Armory. 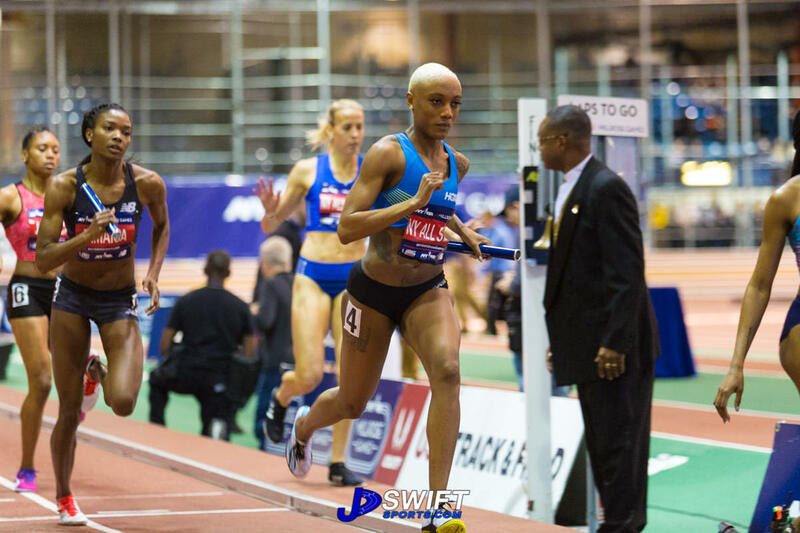 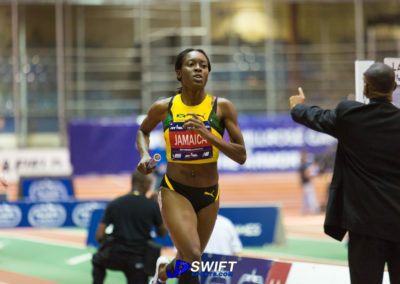 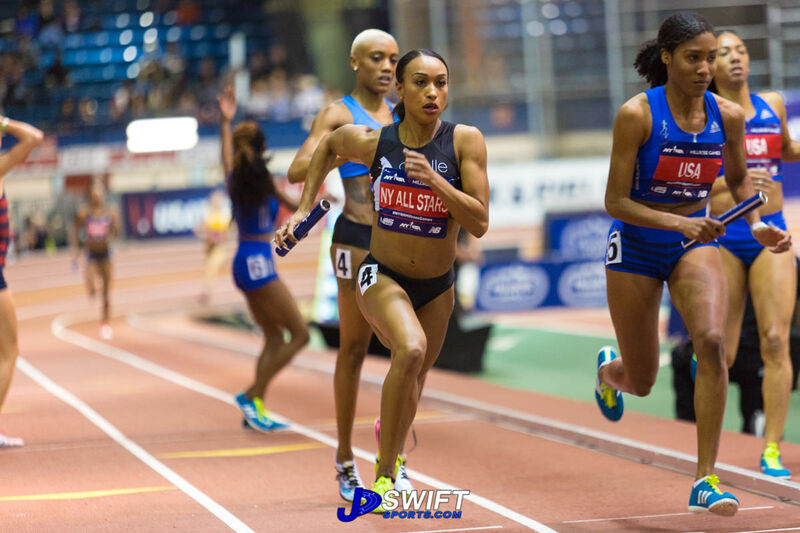 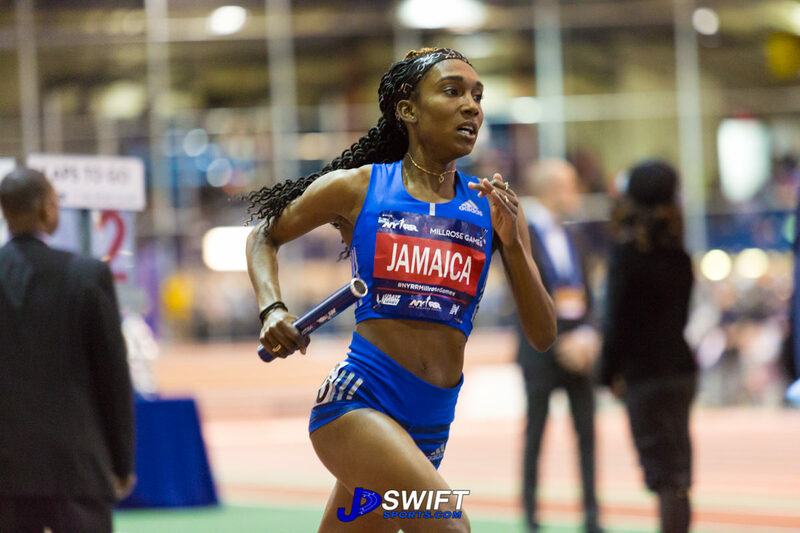 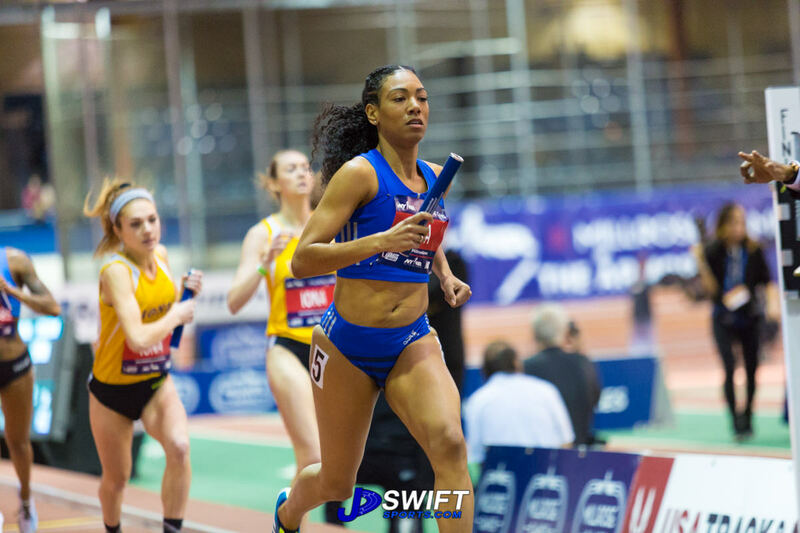 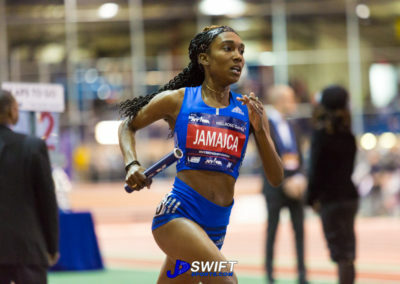 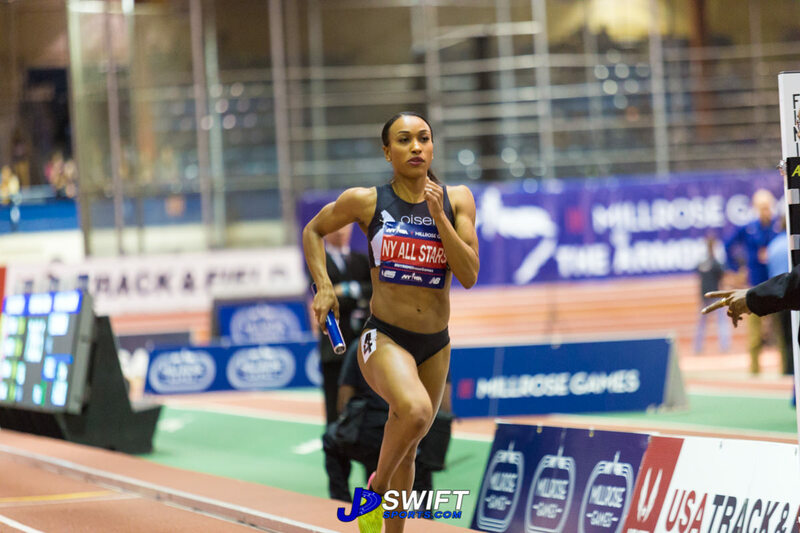 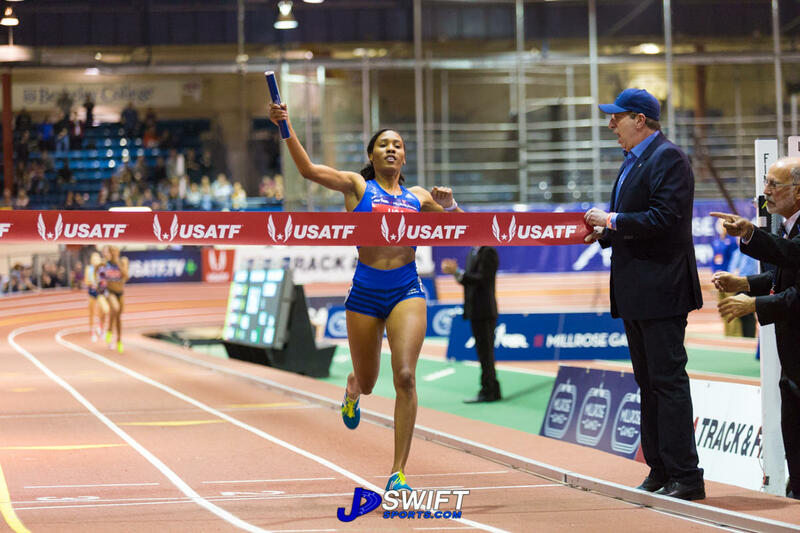 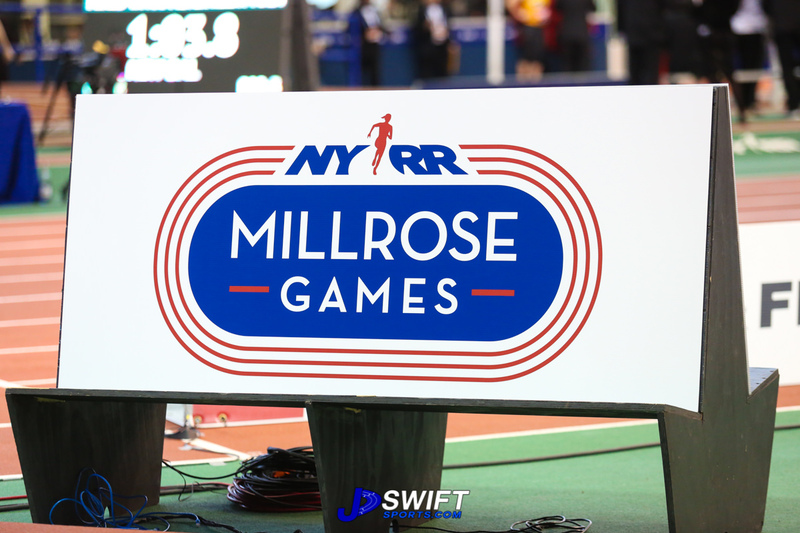 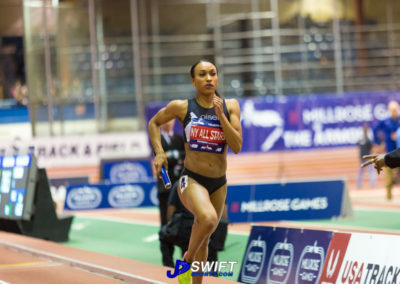 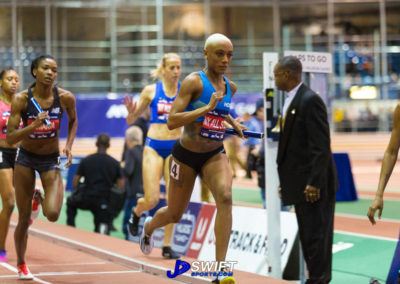 For more on this race and other highlights from the 2018 Millrose Games checkout Armory Track.com.